Photo: Mr Salem Al Katheeri, Director- Support Services/ Emirates Foundation (center) and Mark Garrett, Borealis Chief Executive. 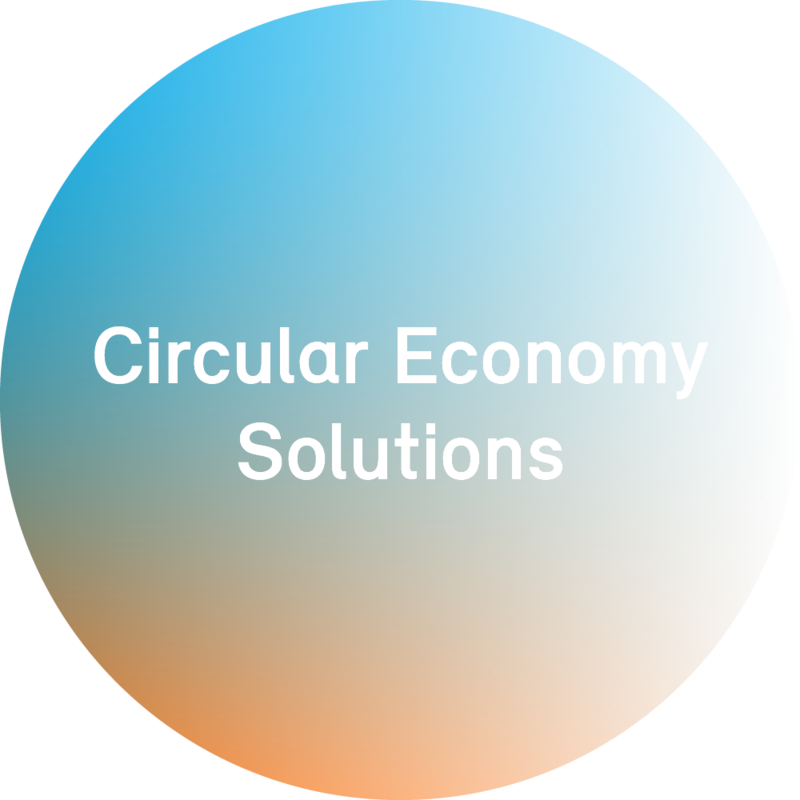 Borealis, a leading provider of innovative solutions in the fields of polyolefins, base chemicals and fertilizers, announces this year’s support to leading social organisations in the UAE. Support will be made available through the Borealis Social Fund, which was founded in 2008 with the explicit aim of enhancing the social welfare of the communities in which Borealis operates. 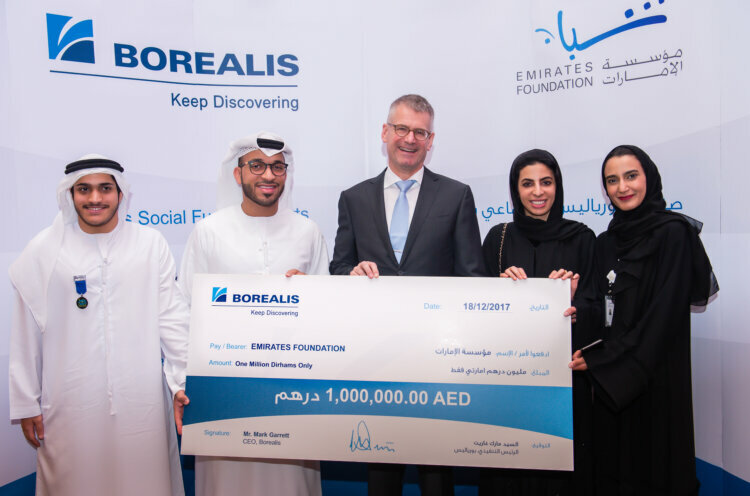 Borealis will support UAE organisations with AED 3 million in total, which will be presented to the Emirates Foundation, the UAE Disabled Sports Federation, and the Emirates National Schools. Borealis Chief Executive Mark Garrett handed over cheques to representatives of the respective organisations at a ceremony held in Abu Dhabi on 18 December 2017. Working with partners from the private and public sector, the Emirates Foundation has developed and implemented a range of programmes and special projects for young people aimed at promoting social inclusion, community engagement, leadership and empowerment. The Government of the Emirate of Abu Dhabi established the Foundation in 2005 as an independent philanthropic organisation. Twice this year, Borealis hosted a delegation of UAE students from different public and private schools in Abu Dhabi at the Borouge Innovation Centre. The groups consisted of senior high school students who are participating in the Emirates Foundation's "Think Science Ambassadors" programme, an initiative developed to encourage Emirati youth to pursue science as a field of study and future career path. "We honour our positive and sustainable partnership with Borealis which proves to be stronger and has a wider impact year on year," says Maytha Al Habsi, Acting CEO at Emirates Foundation. "Thanks to Borealis, Emirates Foundation can continue its long term plans towards inspiring, empowering and guiding youth in the UAE. Borealis makes a perfect partner with our Think Science programme, which aims to prepare youth to both study and work in Science, Technology, Engineering and Mathematics (STEM)”. Established to promote better awareness of the special needs of the disabled and to encourage their active integration into society, the UAE Disabled Sports Federation provides support to athletes participating in a wide range of athletic disciplines. Federation athletes regularly compete in regional, national and international events. Abu Dhabi, United Arab Emirates, will be hosting the 2019 Special Olympics World Summer Games, which will be held from 14 to 21 March 2019. "The continued support provided by the Borealis Social Fund will enable our Federation to play an active role in preparing the 2019 Special Olympics World Summer Games, which will be hosted by the UAE. It’s an honour for us and for our athletes to be able to do this,” says H.E. Mohammed M. Fadhel Al Hameli, Chairman of the UAE Disabled Sports Federation. Since 2002, the Emirates National Schools (ENS) has offered world-class educational programmes from kindergarten through to grade 12 with the aim of preparing students for post-secondary studies. Approximately 10,500 students are enrolled in the 2017-2018 school year at one of five separate campuses sharing a common curriculum: Mohammed Bin Zayed City, Al Ain City, Abu Dhabi City, Sharjah and Ras Al-Khaimah.“With the continuing support of the Borealis Social Fund we are able to achieve our planned goals and attain educational progress that positions ENS as one of the leading international learning providers in the country,” says Dr Kenneth Vedra, Director General of the Emirates National Schools.